A couple of months ago I read a product review of the Giddy Bowl over on Lamb & Bear and I instantly thought, "That is so cool!" The Giddy Bowl is a bowl designed for toddlers to handle without them spilling their snacks! 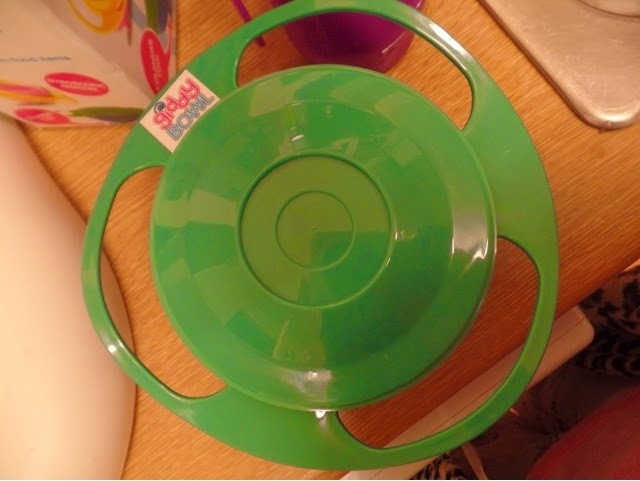 The bowl has three handles around it so toddlers can grasp on easily and as they move it or walk with it, the inner bowl containing their snacks rotates and stays upright! C hasn't quite grasped the fact that his food will fall out of bowls if he tips them over so this is the perfect solution. 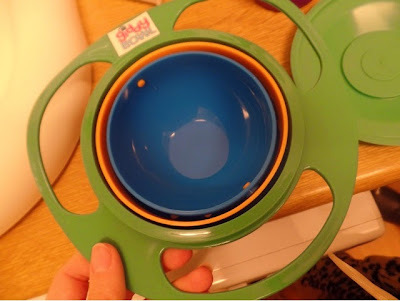 Even if you turn it upside down the bowl will be completely covered! 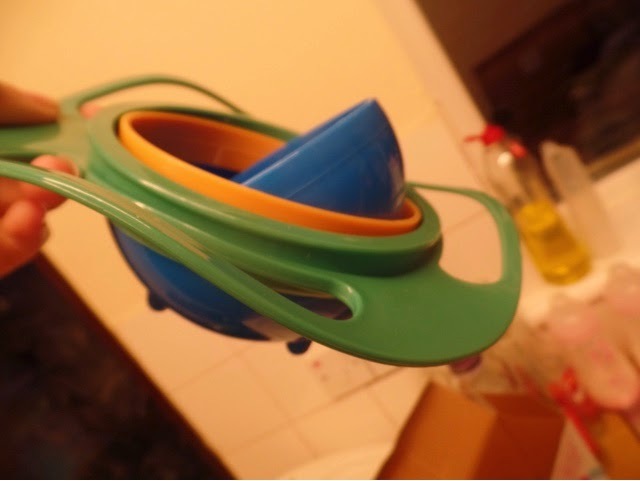 The Giddy Bowl can have the odd spill and if it's dropped from a height, spills will occur but for everyday toddler use it is great! I no longer have to pick up food residue on the floor! 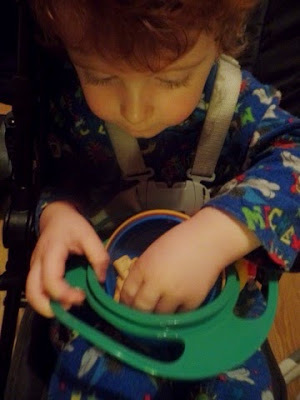 The bowl has a lid which is fab as I can even bring it out and about with us. This is great as I can use it public places and not have to worry about cleaning up C's mess afterwards! It has a handy colander attached which may seem a bit odd but as C is a fruit fiend, I can easily slice his fruit, rinse it and drain it through the bowl itself. 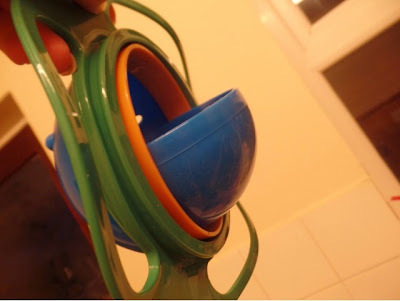 It is made from food safe plastic and it's suitable for dishwashers. 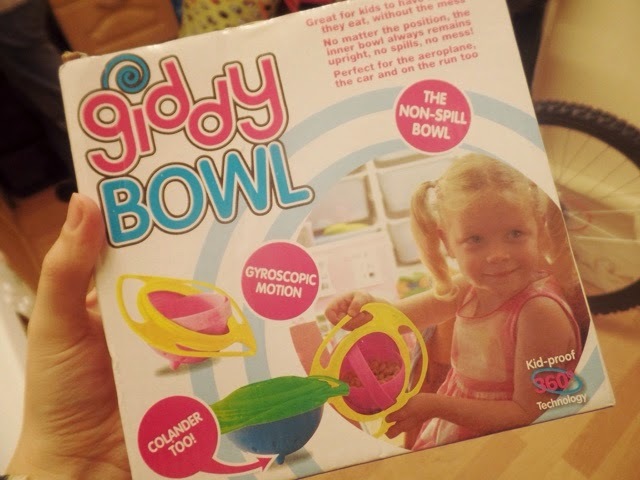 The Giddy Bowl retails are £9.99. Unfortunately, they aren't available in stores yet as they are so new but you can purchase one directly from Gr8 Solution. They are available in blue/green or yellow/pink.